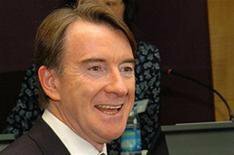 Mandelson to announce bail-out | What Car? Business Secretary Lord Mandelson is about to announce a multi-million-pound rescue package for the UK car industry. The bail-out package, to be announced on Wednesday, is expected to include details of a new credit-guarantee scheme designed to stimulate sales of new vehicles. Credit schemes will be put in place to allow manufacturers to apply for Bank of England credit, which they can use to provide affordable loans to car buyers. Prior to the economic downturn, three out of four new cars were bought on credit, but over the past year the supply of finance has all but dried up - resulting in the near collapse of the new car market. Along with the moves to improve credit supply, the package is also expected to include plans to subsidise training for car workers, aid for the suppliers of car parts and grants for research and development of green technologies.